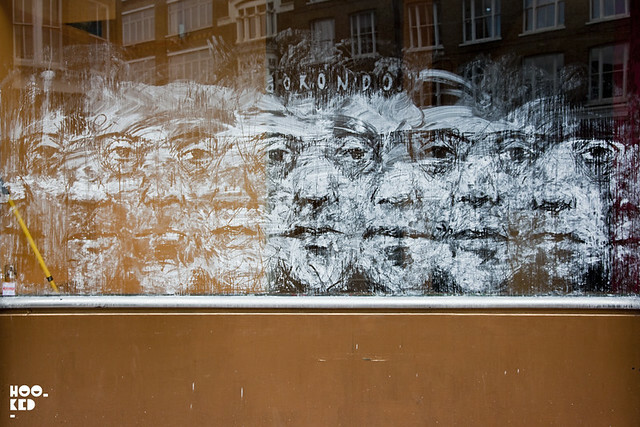 Over the weekend we discovered this new piece from the artist on an empty shop unit in Shoreditch. 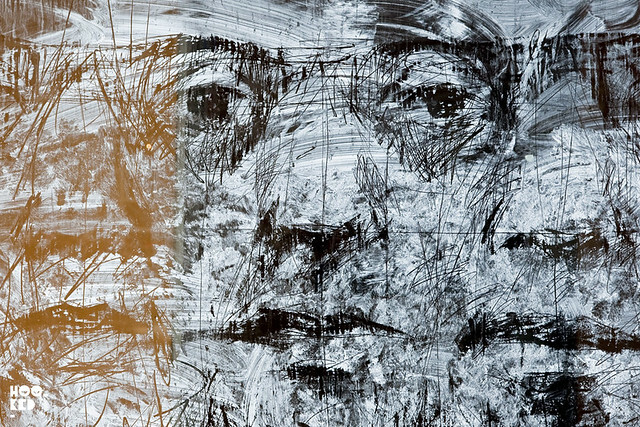 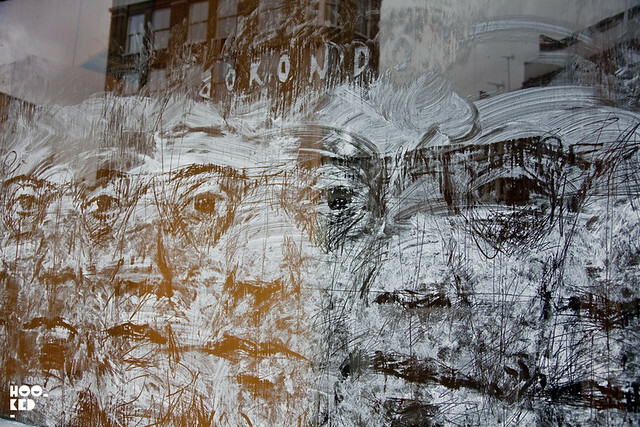 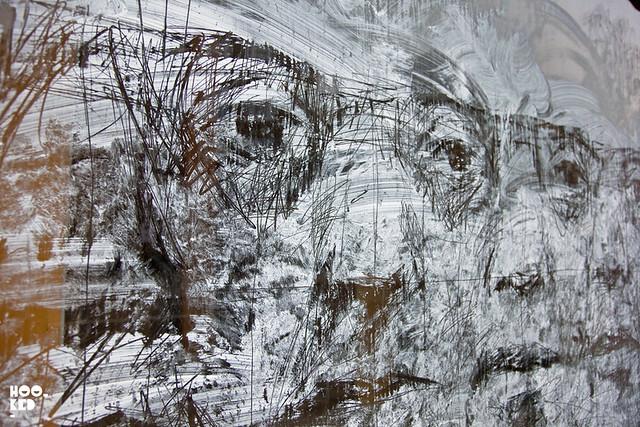 A series of portraits executed in the artists signature style which involves scratching into white paint on glass windows to create the images, often using a comb or coins to remove the paint. 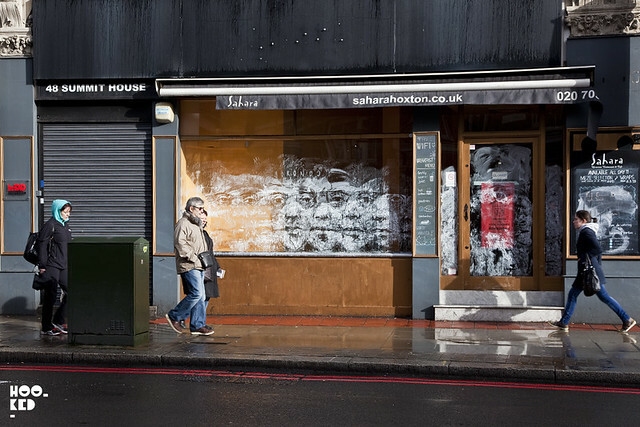 The new work can be found on Great Eastern Street, below are a few images of the work.